Welcome to my l world of baby shoes . 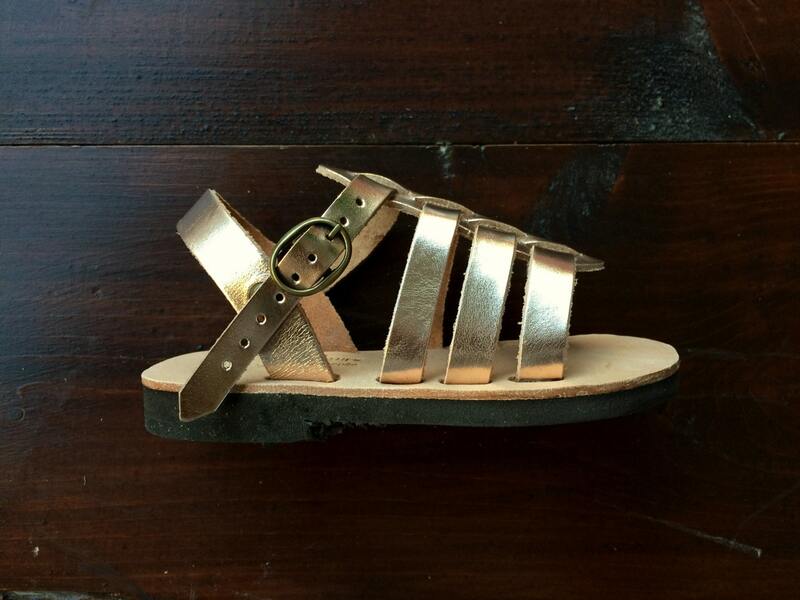 handmade greek leather sandals creative by me . 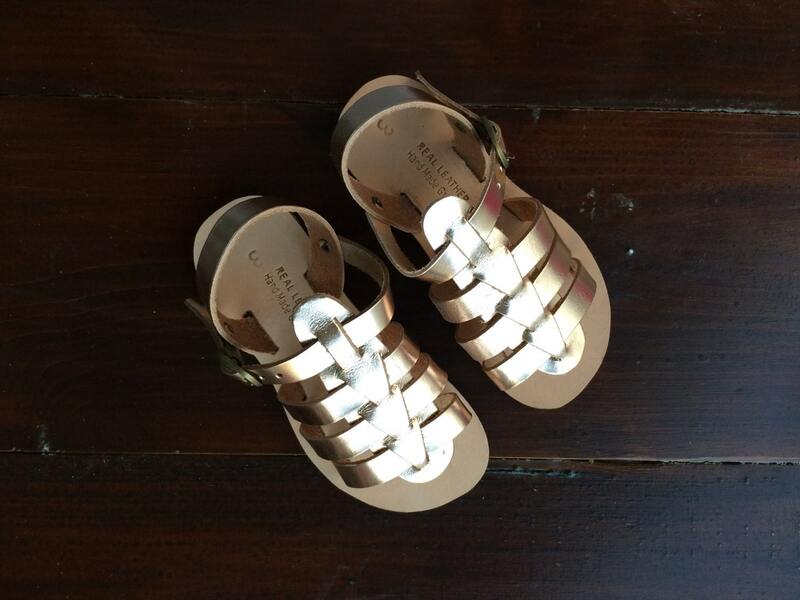 these sweet children sandals are the go to summer footwear here in Greece . 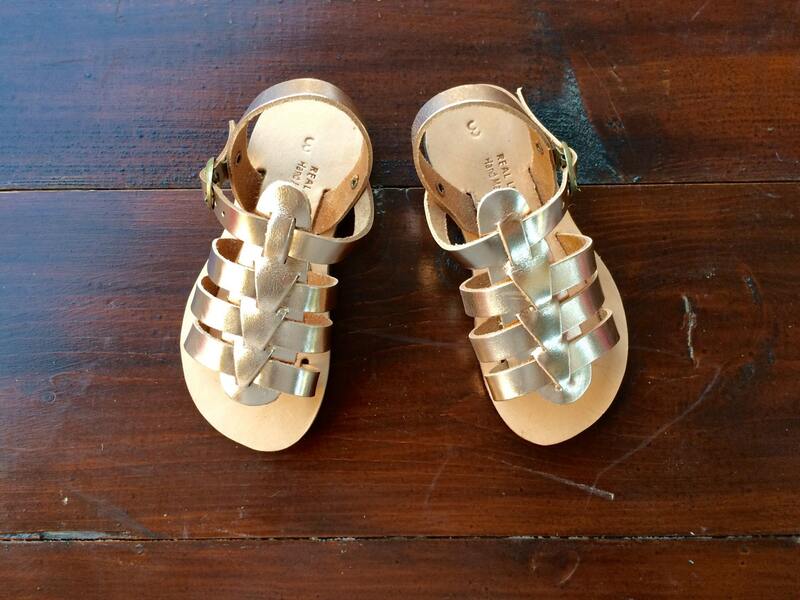 the color of this sandals is pink gold , amezing for all day . for best fit please measure feet from heel to big toe and follow the chart i have created below or feel free to contact with me for help. *all my leather products are hand craft . 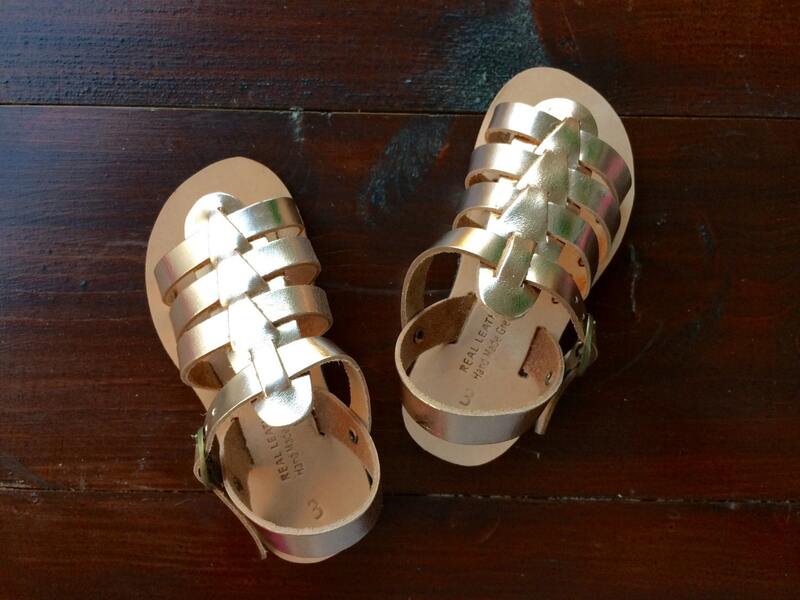 *care avoid getting sandals wet in sea water they will darken and became stiff. in case this does happen rince under clear water , let them dry natturally and apply classic baby oilto soften them again.